Even if you don't consider yourself a gardener or don't have an outside space for gardening, you can still enjoy the benefits of growing your own plants. 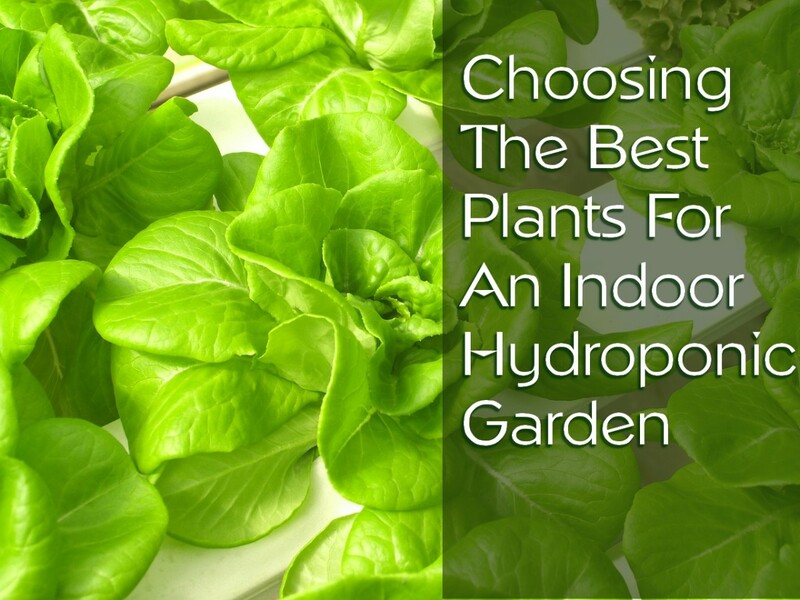 There are many that can be grown indoors hydroponically, including herbs, vegetables, and house plants. I have put together 25 plants that are easy to grow in water or hydroponically. Although many plants will root and grow well in just a glass jar and a little water, you can accelerate their growth with correct plant nutrition and adequate lighting and be harvesting faster than you would from an outside vegetable garden. Most of these selections you will likely already know of, but you may not be aware that they can be grown without soil. If you're ready, let's get started. Imagine being able to pick fresh herbs whenever you need them. Think how much that could change not just the taste of your food but also the nutrient content in the dishes you prepare for your family. It's also important to note that although you can plant from seeds in most cases, in my research of herbs for hydroponics, taking a cutting is almost always the preferred option. This not only gets the plant growing stronger but faster as well. 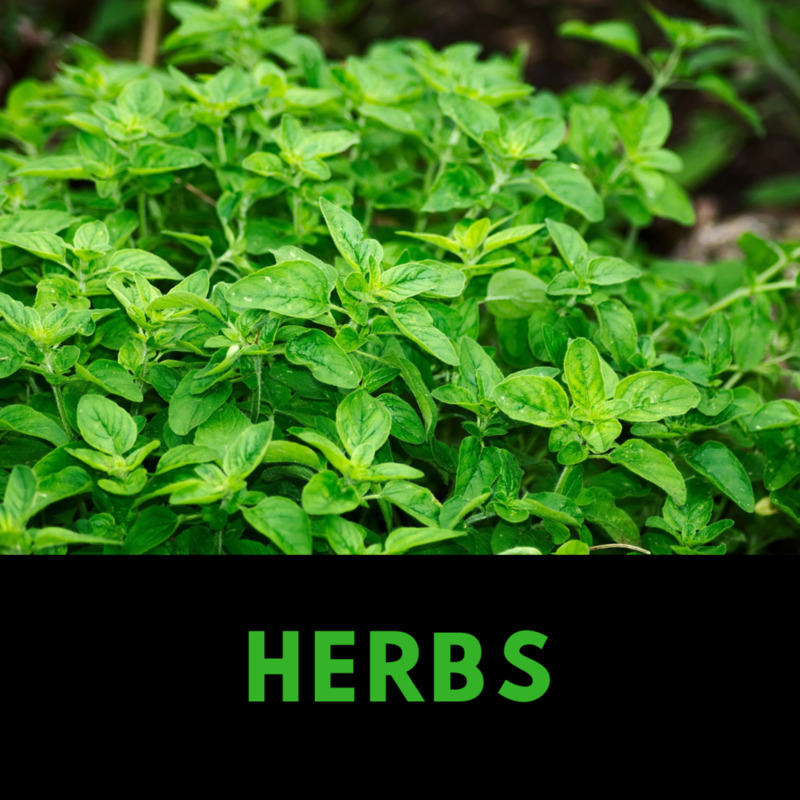 In addition to the above herbs, there are many more types of plants you can grow in a water-based growing medium, including various tasty vegetables. 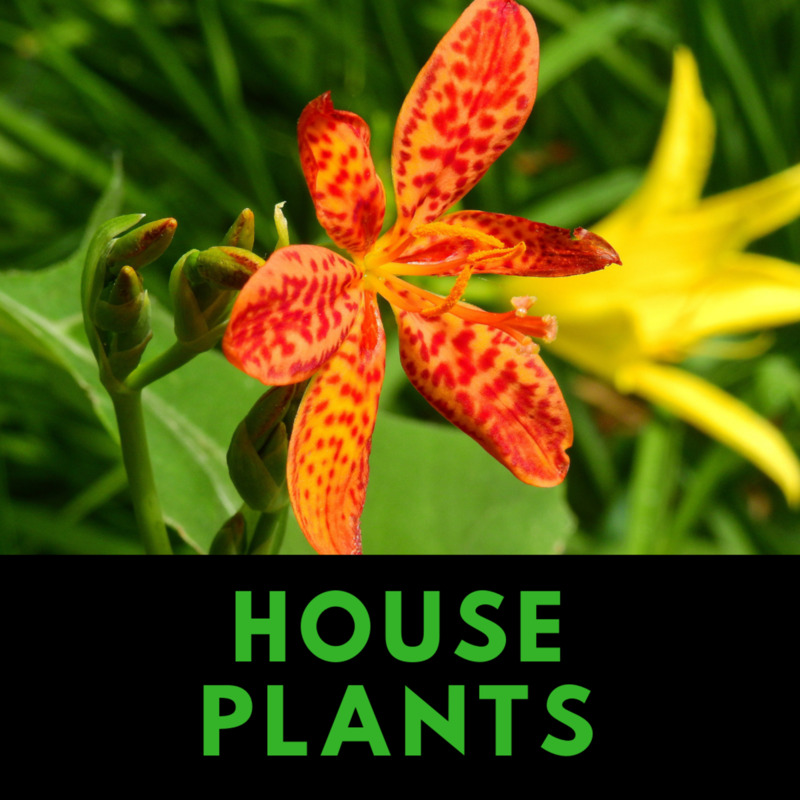 Many of these are the same kinds you would grow in your outside garden, and others are a variety specifically suited to growing in a smaller space. Remember that as long as you are feeding your plant and giving it light, it will grow. For support of larger plants like tomatoes, I prefer to use clay pebbles, as they allow the roots to have a firm hold on something. The below table shows just some of the vegetable plants you can grow hydroponically. Below is a list of house plants that are ideal to grow without soil. These will grow quite happily in a hydroponic system. You may know many of them and be growing them already. So why not use a cutting and begin growing it in your new system? Not only are houseplants beautiful to have in a home, but they also help clean the air by absorbing carbon dioxide. Which of these will you try cultivating in water? When you go to the grocery store, do you feel like you are forced to buy what they have? Of course, you could go to a farmers' market and shop around at some of the specialty shops. But let's be realistic, who has the time to do that? Especially if you have a family and a job, there just aren't enough hours in the day to be as conscientious as we wish. We all want to provide healthy good quality food for ourselves and our family. Every day there seems to be a new article either online or on the news about GMO foods or toxins in the water from farms. By growing it yourself, you know what you're eating, and you know what has been used to nourish that plant you're bringing to your table. If you're a traditional gardener, you may balk at the thought of growing plants in what some say is an artificial environment. I felt the same until I did some research. You know where your food came from. You can avoid using any pesticides. Hydroponic plants generally grow faster than those grown in soil. The yields are often greater than those grown in soil. You don't need a garden space—or much space at all—to grow plants. 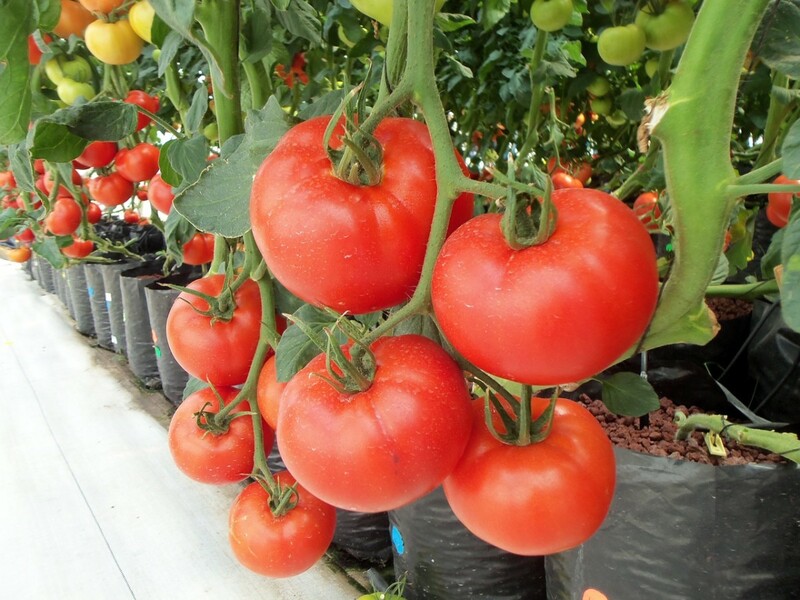 Hydroponic plants generally attract fewer pests and diseases. There are no weeds to pull. Maybe the greatest benefit of growing your own food hydroponically is that you know exactly where it came from and how it was grown. Plus, you can be sure that no harmful pesticides were used. Lighting: Just because a plant is grown in water doesn't necessarily mean it doesn't still need sunlight. Especially in the case of fruits and vegetables like tomatoes and most anything with flowers, you'll need to either place your plants near a south-facing window or figure out some other way to get them much-needed light—ideally at least six hours a day. Unfortunately, this can be very complicated due to various spectrums of light, intensity, and power, not to mention the different needs of different plants. For more information, check out this primer on The Basics of Hydroponic Lighting. pH Level: Depending on what you're trying to grow, not having the optimum pH level of your water can greatly diminish your plants' ability to absorb vitamins, carbohydrates, and other nutrients. (For instance, most of the herbs mentioned above thrive in a pH level that is lower than that of most tap water.) So it's important to check the ideal pH preferences of your plants and adjust the water accordingly. Climate/Temperature: As most plants prefer a temperature between 60–80°F, it's important to keep an eye on how hot or cold it gets around your hydroponic garden. Sometimes you'll need to protect it from the heat generated by your grow lamps or a nearby radiator. Other times you'll need to protect them from falling temperatures in the winter, even though they're indoors. What is nutrient film technique (NFT)? Nutrient film technique (NFT) is an active hydroponics system where water containing dissolved nutrients is pumped into a grow tray, so that those nutrients can be absorbed by plants as the water passes through their roots. That water is then drained into a lower reservoir to be eventually pumped back through the grow tray. 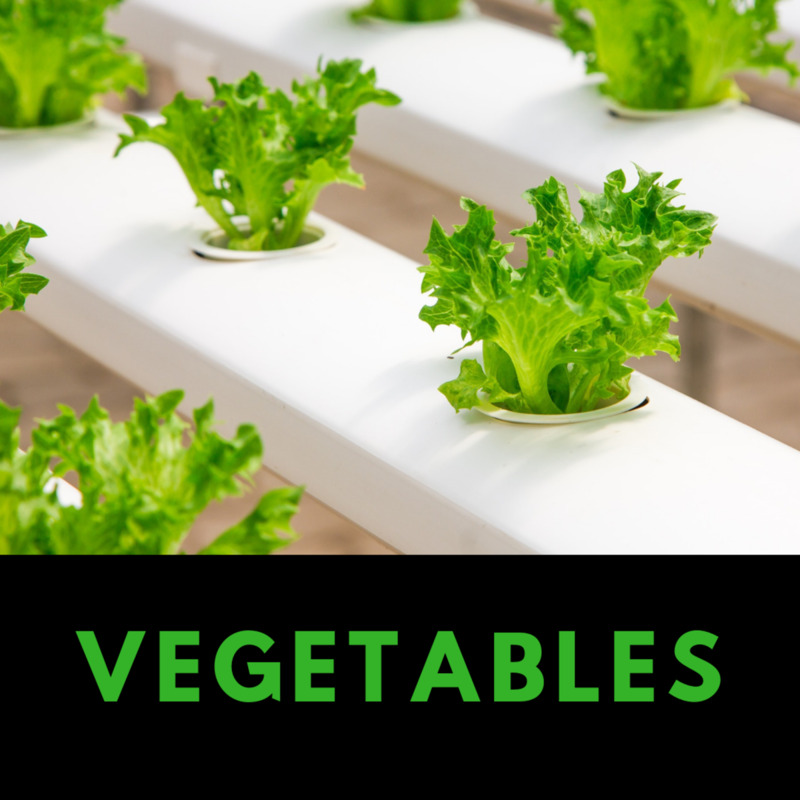 It is one of the most popular and versatile systems for hydroponics and can be particularly useful for fast-growing, lightweight plants like lettuce—though it is not as effective for growing heavier crops such as tomatoes. For more information, check out this helpful The Spruce article on Nutrient Film Technique Hydroponic Gardens. 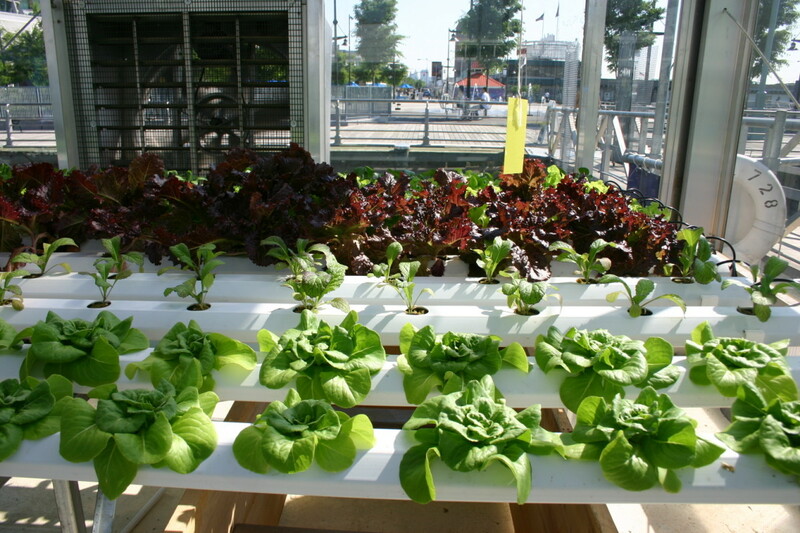 What's the Difference Between Hydroponics, Aquaculture, and Aquaponics? It's easy to get confused by the terminology, as there's jargon specific to various cultivation techniques. There are also many people who use the words interchangeably, which further adds to the confusion. In fact, the term aquaculture includes water plants, so you can see how people are easily misled by the tangle of terminology. Hydroponics: This refers to growing plants in water that has minerals and nutrients added. For larger plants, often clay pebbles, coir, perlite, or gravel is used to support the roots. There is no soil. Aquaculture: This is the raising of fish, crustaceans, mollusks, aquatic plants, and algae. Fish farming, which we have done on our farm, comes under this category. Aquaponics: This combines the two areas of aquaculture and hydroponics, using fertile waste water from fish or other aquaculture activity to enrich the water for the plants. 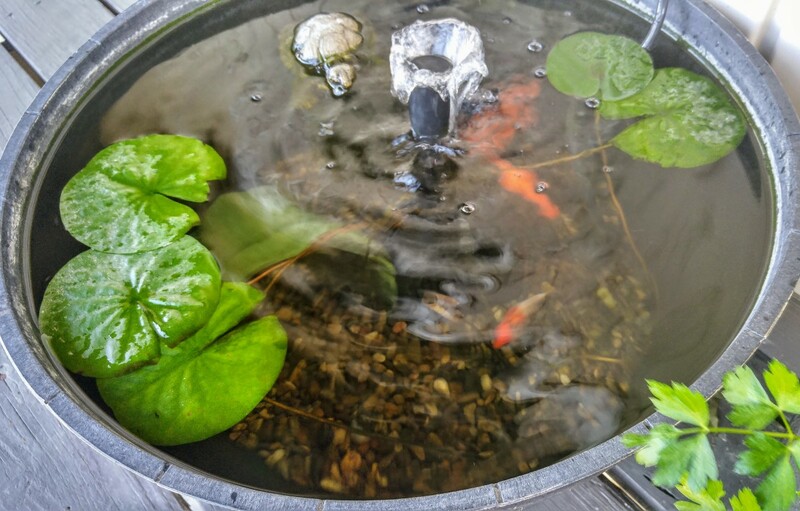 Often plants will be grown on top of a tank, aquarium, or lake, with fish swimming (and defecating) below. Below is a video about growing plants in a hydroponic system. The gentleman in the video uses Rockwool insulation to suspend the lettuce seedlings in the plastic basket in the water. Although this setup is larger than you may want, I've included it because you can see how quickly your plants will grow and how healthy they look. The lighting for water system plants can vary. Some people use fluorescent bulbs, as the man in the video has. Others use LED lights or natural light. When using natural light, often the gardener will have their plants lined up vertically near their window. This is known as window farming or window gardening. Some systems use a small air pump, the type used in an aquarium to keep the water moving and to keep the water aerated. You may find you don't need one if you are adding water every couple of days along with your fertilizer. Every outside gardener knows the heartache of tending to seedlings and then coming out in the morning to find something has eaten them in the night. It's enough to make you throw in the trowel (see what I did there). That is just one of the reasons I love indoor hydroponic gardening. No pests. Plus, I hate the waiting for things to grow. With this, you can almost see these grow overnight. The combination of the food in the water and the lights make growing conditions perfect. No mulching, no digging, no weeding! Need I say more? If you ever wondered how the supermarket buys perfect-looking herbs and lettuces, this is the answer. Why Not Give Hydroponics a Try? I can think of no reason not to try using a hydroponic system, even if you use it in conjunction with your normal gardening. This means you can have fresh food when you want it, and the food miles work out to about 6 feet depending on the size of your kitchen. It sure beats having it flown in from a country thousands of miles away. Kids will love seeing the plants growing in front of them. They may even be more receptive to eating their greens if they have helped grow them. Would you like to grow hydroponic plants? 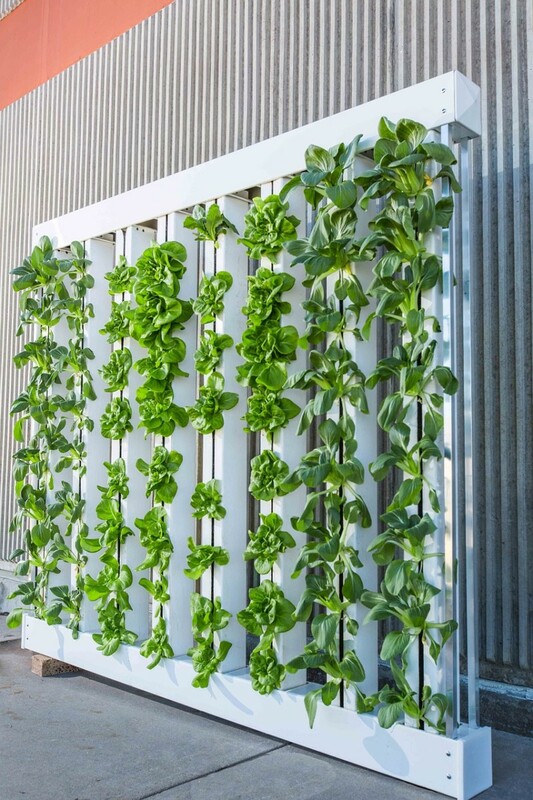 I'd love to have a hydroponic garden in my home. I'll stick with gardening outside, in the earth, like I always have. I might consider it, but only when I can't be in the garden. Other. I'll leave you a comment and explain more. Hydroponic feeding solution are chemicals. Is there a natural or organic way to grow it in water? 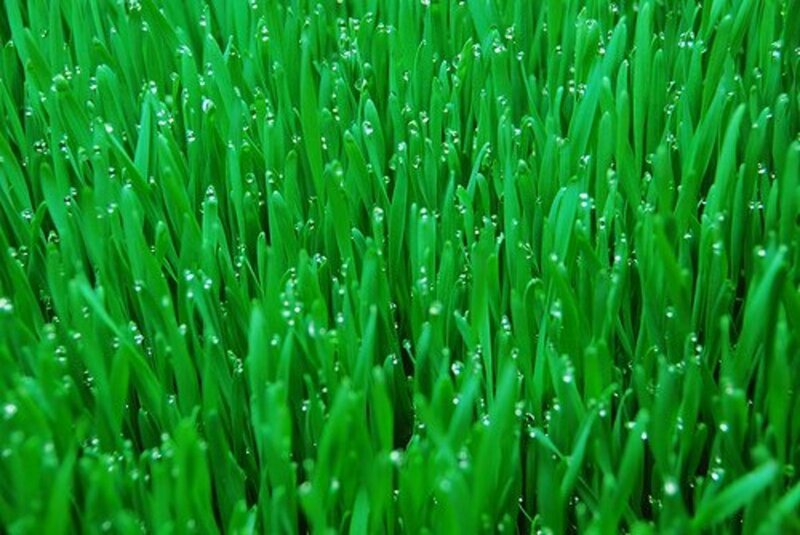 Yes, you can use an animal fertilizer or make a compost tea and use that in your system. Is a hydroponics system expensive? Like anything else, it can be, but it doesn't have to be. Some systems are elaborate, and others are basic. We used to do ours in our lake that had tilapia, so ours was inexpensive. A neighbor has one with a series of pipes that feed his hydroponic strawberries. I want to refer you to YouTube because many ingenious people have developed low-cost ways of raising plants hydroponically. If you're on a farm, it's likely you'll have suitable materials that were from another project that you can use. I am researching having or building a greenhouse in the tropics. I am curious if you choose not to use glass but other material like gauze for example. I was wondering if there are also maximum temperatures for plants to grow? Or should you then look into systems that can cool the air? I live in the tropics and can tell you gauze would not work. The problem is the UV exposure. This causes a problem for fabric and plastics. Your best bet would be to look into 'polytunnels' in the country you plan to go to. Look for ones that can withstand strong UV light. You will also want one that is easily vented to allow air to flow through. Any time you have to cool or heat the air in a growing area, the costs can become prohibitive. The temperature will depend on the specific type of plant you plant to grow. Can you grow bail in a glass of water? Yes, you can. Add a hydroponic feeding solution, and place it in a position where it can get light. Is mud or coconut coir needed to grow indoor hydroponic gardens? No, neither of those are required. If you have erect plants, then you may opt for pebbles to give the roots stability. 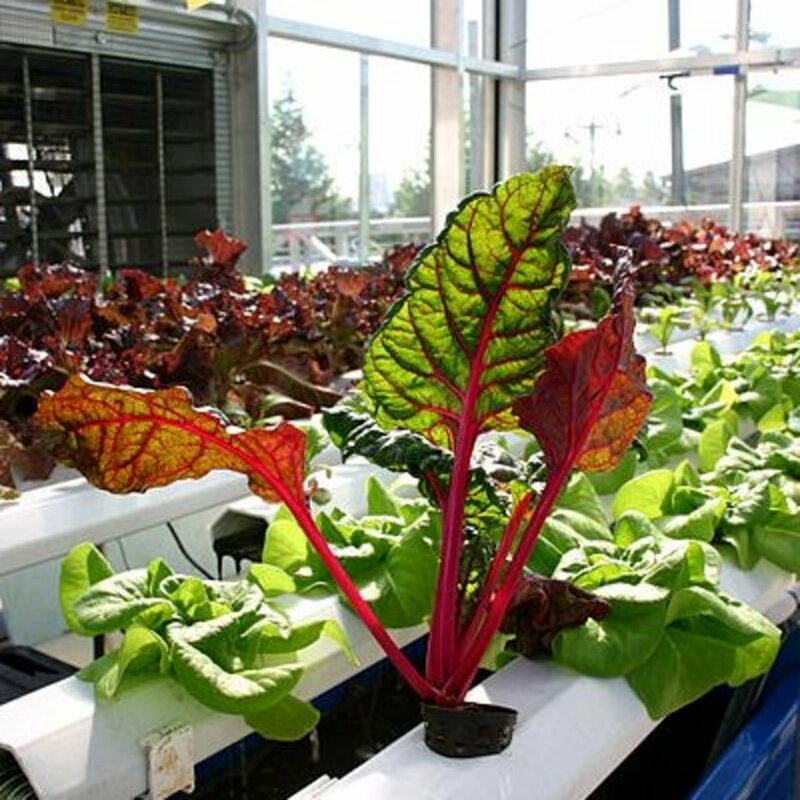 What are the economic benefits of growing vegetables hydroponically? That is not a straightforward question. To start growing vegetables in a water medium, the set up can be quite expensive, so you may think there is no economic benefit. There are a lot of variables such as location, temperature, and whether you have the option to grow in the soil. Although you will need to nourish your plants, you will see a cost savings in not using pesticides and other treatments commonly used in soil based crops. This is especially true if your set up is indoors. The long term global appeal is even better because it increase the area for potential cultivation. Can I plant cacao hydroponically? The Cacao tree can reach heights of 30 feet and take up to 5 years to produce. This is best planted in the soil. Use fluorescent lighting with a view to changing over to LED when you can afford it. A couple things to note about using florescent lighting, use a reflector to utilize as much of the light as possible. Secondly don't switch it off and on. I see this occurring in offices and hospitals.I have seen signs reminding people to switch off the light. That reminder is likely making their electricity costs much higher. That initial kick to start a fluorescent bulb is when much of the energy is used. Hi Mary, we have now finalized on strawberries. Since these will be grown completely indoors, can you recommend a lighting solution apart from LED. LED is way too expensive, and we can live with a little higher power cost in the initial stages, as long as the Capex is lower. Many people have both for various reasons. If you live in a cooler climate, having indoor plants will give you a year round growing season. It's a good idea, if you have the space and the time. I would like to have hydroponic plants growing indoors, to maintain container/soil growing outdoors. What I would suggest before you consider investing any money is look into solar lighting. On YouTube there are videos that show how to make these using soft drink bottles, mineral water, and bleach. Although people are using these in their homes, you may be able to use them in your warehouse. Once installed you will be able to better assess whether they will provide enough light to grow lettuce. Hi, i would like to start a commercial hydropoincs set up. I have a 10,000 sqft building, with no direct sun light. Can I grow Iceberg lettuce indoors/without sunlight/hydroponically? I read your article, mentioning Lettuce as an indoor plant, but later, you mention "IF YOU GIVE IT LIGHT." LED for 10,000 sqftt would be way too expensive. In Pakistan, there is a huge demand for Iceberg lettuce, so i was wondering if I would be able to grow it in the already existing building. Hi Joy thanks for your question. The answer is yes, you can grow cauliflower in an tower. You may find a variety with a smaller head will work better. Some cauliflower heads are huge and they would require supporting if you decide to grow those. Very nice! Its really very useful for health. I think once people try it and grow something successfully, they are hooked and can see the benefits of hydroponics. It is just getting people to understand there is a different way. I liken it to everyone believing the Earth was flat, that was all they knew so didn't question it. Thanks for telling us about your experience. Great article. I only grow in an Aerogarden and love my peppers, herbs, lettuce and flowers. 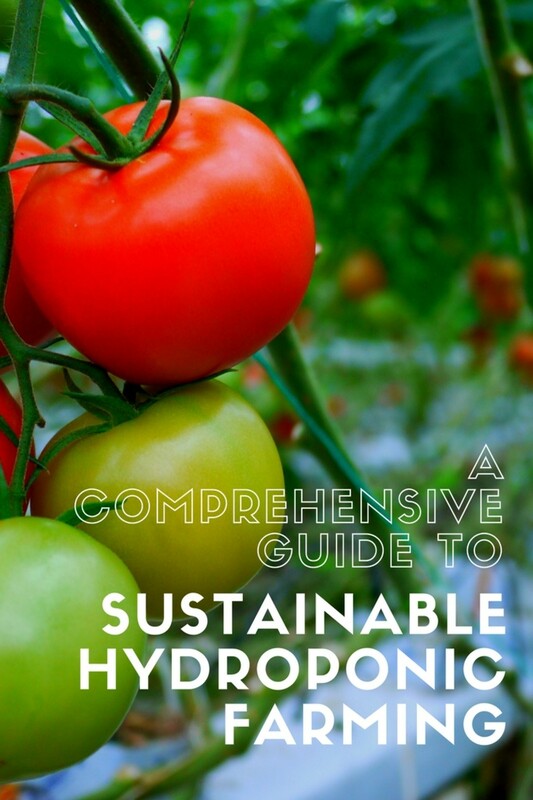 It is nice to find articles for Hydroponics. It could be any one of various things including PH, food, light, and even the chlorine in tap water. It also could be the plant itself. Just as planting in soil, some plants take off and others can be weak. Of course, airborne cleaning chemicals or air fresheners could be the culprit and care should be taken when using them around any plants. 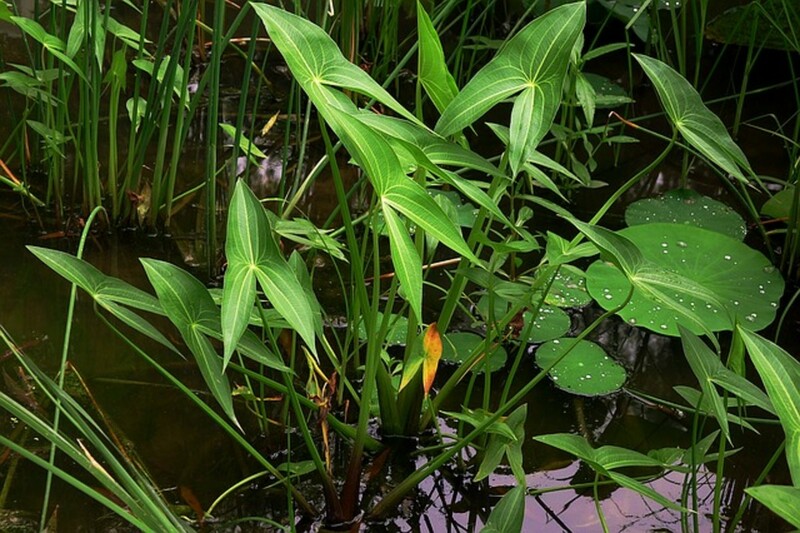 There are also types of fungus and bacteria which will cause transparency in the leaves of the arrowhead plant. It is worth mentioning, that once you have a plant growing well in the nutrient-rich water, the plant be more resistant to diseases than one which is growing in soil. Thank you for this article. I never planted before. I bought an arrowhead plant in soil pot. I rinsed the roots and put in a clear vase as instructed by your article. It's a success!!!! I was so excited. Thank you. Now, I need help. My arrowhead leaves turn into transparency. Does the plant need food/light or get damaged by household chemical? Thanks for the question. I think you could grow dandelion and clover but not the plantain. Here in Brazil, we grow bananas and although they like a continually moist soil, they don't like the roots in water. Thanks again for your question and let me know how you get on. This may sound like a strange question, but do you think this would be a good way to grow weeds? Dandelion, plantain, clover, etc? I would like to keep a winter indoor weed garden for my tortoises and this seems like it would be a good way. Thank you for your time. You're right, supporting plants can be problematic for tomatoes. It does depend on finding a system that works best and staying adaptable to looking for better ways. I have seen some ingenious ways people get around a problem. As you say, light too can be a problem. Erect and vine plants need space and more thought before growing them in a hydroponic system. 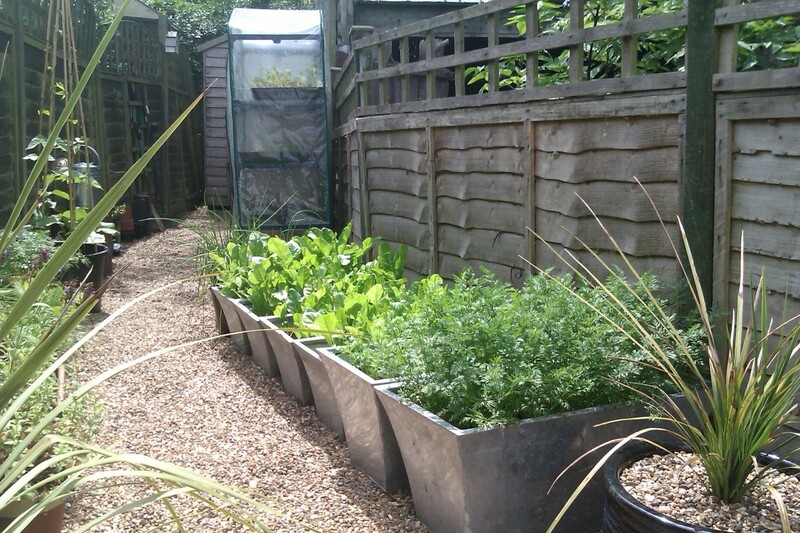 Often if people start with the compact plants such as lettuce, and become confident with their system, this helps them try others. Once you have had a few successes, it makes you begin to think, "what else can I try?". 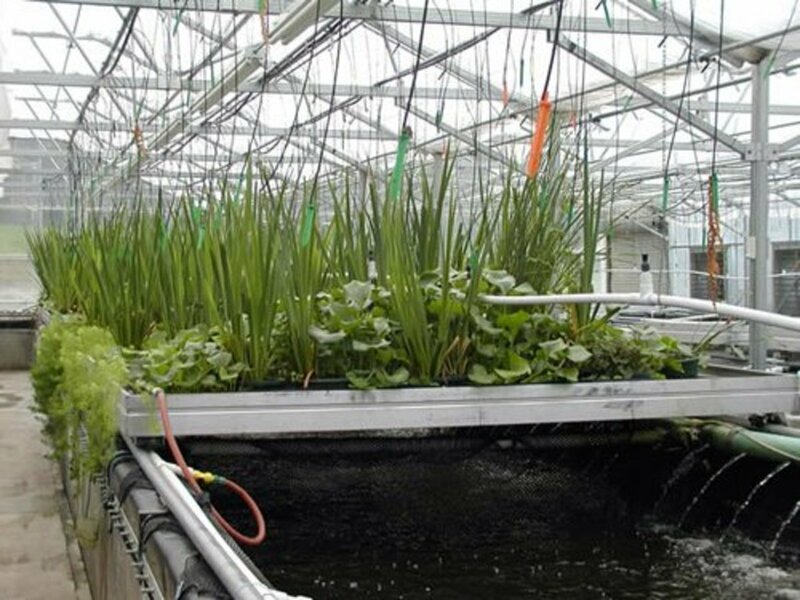 I think we will begin to see more and more grown hydroponically as it opens up areas which, for whatever reason, were not able to be cultivated in a traditional way. Nice article. I've found that growing tomatoes in an indoor area is impractical due to the need to support them as well as the difficulty in ensuring that they consistently get enough light across the entire vertical length of the plant. Similar issues with cucumber. Other, non-vine plants have worked well for me, though, including lettuce, bok choy and peppers. It means gardening can be year round, no more waiting for spring. Thanks for reading today. Thanks for sharing this useful information, Mary. I'm going to think about growing a few plants hydroponically. It's certainly a tempting idea! Thanks, I think a bit of greenery in the home can make all the difference, especially during winter. This is so cool! If I had the money and the space this is the way that I would go! fascinating read! and great idea! I'm glad you liked it. Gardening, be it indoors or outdoors, is a wonderful activity which brings people together. It's perfect for your strong community. Some might think you have the best of both worlds but I can see the problems you might have if you are moving between the two properties. Each environment has its own set of problems, insects and planting schedule. I can see where a hydroponic system could work for you. A portable one would be best. "Have plants, will travel." can be your new motto! This is my dream to have a hydroponic garden. Owning 2 homes, one in northern and one in Southern US, I find it difficult to grow in either climate. I have begun to grow herbs in my home and hope to expand to other vegetables. Your article inspires me to do more. Yes, but on a larger scale. We had ours in our lakes during the time we were raising tilapia. We used fish cages and floated the plants in those. With 10,000 tilapia providing the free fertilizer. We have sandy soil here and it is a struggle to keep it nutrient rich. We are seeing more and more hydroponically grown vegetables in our supermarket here. I know exactly how you feel about the cost. I feel the same about it every time I water our soil based vegetable garden. Thanks for the vocabulary lesson and also for all this great information and demonstrations you share. I just had someone else in the house look at your article. Quite interesting and useful! This is a good well-researched article -- in theory. Have you tried this for yourself because it is much more easily said than done? We finally gave up because we raised the most expensive tomatoes in town. You are good at DIY, there are some set ups using PVC pipe which aren't costly. Plus, no weeding! I really wish I had the money to set up a system like this. I'm fascinated by the theory and application, but it appears to be fairly expensive to sit up initially. Still, thanks for the information.